What's Happening in Europe? 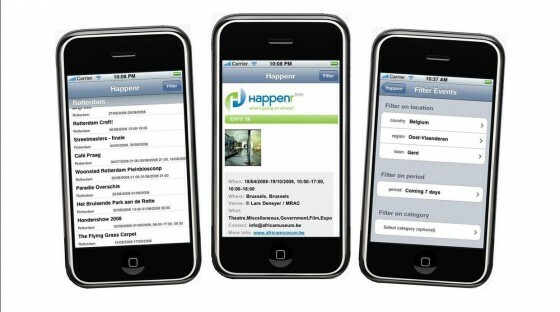 Check Out Happenr. 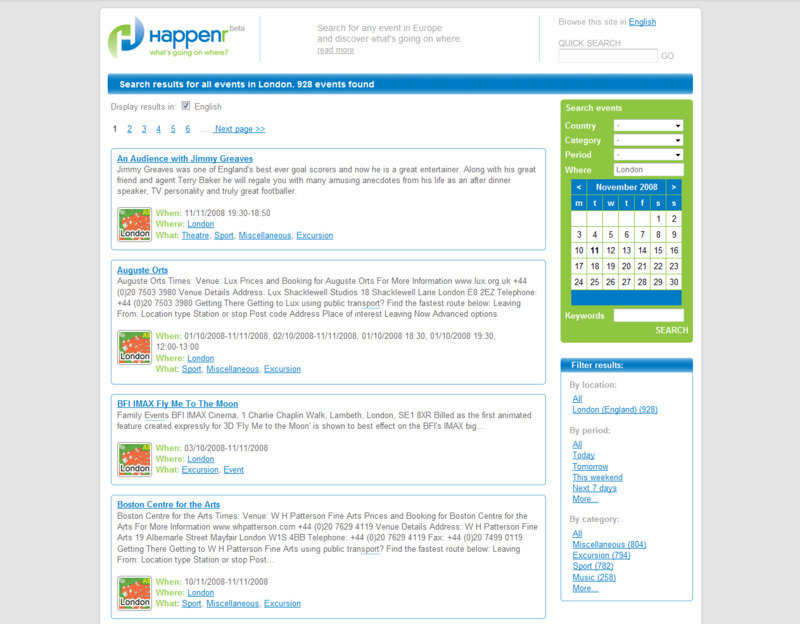 If you are looking for something to do in Europe, check out Happenr, an events search engine that covers Germany, Ireland, Belgium, and the top 100 cities across the Continent. The site just launched after a year in development. 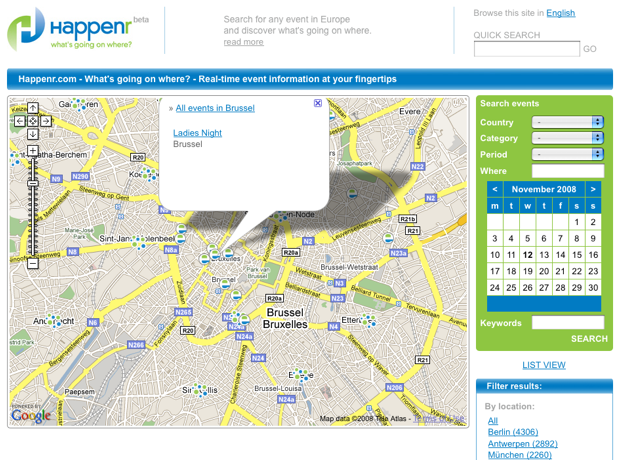 It scours thousands of European tourism, town, and cultural sites to keep its events database up to date, and is available in English, German, and Dutch (events are displayed in their original languages). The site is operated by a Belgian company called Oxynade founded by two Belgian engineers: Hans Nissens and Niko Nelissen. (Disclosure: One of our writers, Robin Wauters, is an investor and acting as head of marketing). The founders have put 50,000 Euros into the bootstrap startup, and received another 50,000 Euros in the form of a grant from the Belgian government. Event databases are a dime a dozen, and Happenr is up against more established, better funded competitors including Eventful, Zvents, and even Yahoo’s Upcoming.org. Happenr thinks there is still room for a comprehensive events search engine in Europe, and it believes it has a better way of indexing events automatically. I can’t really see too much difference in the quality of search results, but I do like the map view that places each event on a map, and goes down to the street level. The startup already has an API that lets other sites tap into its database, and has developed an iPhone app that is still awaiting approval (see screen shots below). Getting this on mobile phones is really essential. Soon Happenr will add the ability to create and subscribe to an RSS feed for any search result page. The company also offers a search widget that anyone can customize and embed on other sites. The startup hopes to make money by licensing its hyper-local content to European media companies who want to incorporate the events search onto their sites (the free API links back to Happenr). The other sources of revenues will be ticket sales (not yet turned on) and advertising.